Halloween and freelance writing are two totally different entities but they’re more alike than you think. For example, the effort always pays off. 1. You have to act quickly or you’ll miss out on the full bars: There’s always one house in every neighbor with super premium candy and everyone wants to get to her house first before she runs out. Good clients are like that as well. They pay well and they offer many perks to their writers, but if you wait too long to query or apply you can miss out on the opportunity. Moreover, if they have a flood of applications, they might take down their offering in order to deal with all the heavy response. 2. There are a lot of creepy people out there: Halloween brings out all of the creepies and fortunately, most of them are harmless. A lot of creepy people take out ads for freelance writers too. Some don’t know any better, others are looking to take advantage or rip off writers. Avoid creepy writing ads or, at least, proceed with caution. 3.There has to be a cutoff point: Eventually we have to stop trick or treating. It could be because we ran out of houses, or because we’re tired. It might also be because we have too much candy. There also comes a time when we have to say no to work either because we already have too much or because we need to balance time with our families. Everyone has a “no” place. What’s yours? 4. We dig into the good stuff first: First the chocolate goes, then the peanut butter and the bags of cookies and Halloween pretzels. The little hard candies are always the last resort. Sometimes we tackle projects the same way. We do the fun stuff first and put off doing that which we don’t enjoy. 5. There’s always a mixed bag of goodies: Snickers, 3 Musketeers, Nerds, Airheads, they’re all different but all good. Freelance writing in 2009 also offers something for everyone. We can write for the web, handle copy for businesses or try our luck at print. We can blog or try poetry. Just like that big bag of Halloween treats, the sky is the limit. 6. Creativity wins every time: The kids who really stand out are those who make their own costumes. Store bought is fun, but hard work is noticed. These are the kids who get extra candy, compliments and even awards for their creativity. Writing is the same way. Sure you can be all cookie cutter and make ends meet. It’s when you’re truly creative and go that extra mile that things really start to happen. 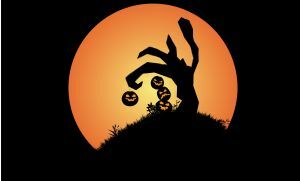 What are some of the ways you feel freelance writing is like Halloween? I think costumes are also essential in freelancing. The scarier the better, that way you will convince people to give you a treat. Freelancers have to make a statement with their work, the more impact they have, the more chances they could be noticed and be offered by projects. Being unique and convincing are two reasons to stand out among a pool of service providers or competitions as they say.